The field of behavioural economics has made major inroads towards a more realistic view of economics, business strategy and decision making. Behavioural economics uses important insights from brain science to explore how people really think and decide, and how we can develop more effective approaches to strategic thinking and business strategy. The overall purpose of this masterclass is to understand how we can improve the quality of our strategic thinking and, ultimately, our business strategy. We do this through applying the principles of 'neurostrategy', where the focus is on the strategist - and how the capacities of the brain can be harnessed to improve thinking, decision making and strategy. The masterclass will demonstrate the important interplay between strategy, economics and brain science - and explain why people are "predictably irrational". The concept of complexity: Why conventional planning is no longer effective. A functional model of the human brain: How we use our brain and the role it plays in decision making. The DNA of strategic thinking: The key elements we need to understand in order to master thinking and decision making. The concept of strategic intuition: How we use insight and intuition to make better strategic decisions. Analysis vs insight: How to use both for better strategy and decision making. Why can't we see the future? : The special challenges of setting strategy for an uncertain future - and how we can improve our strategic thinking in these circumstances. Scenario thinking: How we can plan for an uncertain future. 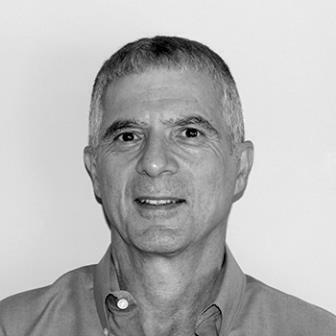 After a career in senior management with a multi-national, Norman has worked as a consultant, researcher and visiting academic in Australia, New Zealand, UK, SE Asia and South Africa. His passion is to improve individual and organisational performance in conditions of complexity and uncertainty. He does so by bringing insights from neuroscience to strategy and planning. His background is in both economics and behavioural science, and his PhD focused on the relationship between organisational culture and business strategy. Norman has published widely and his book, Strategic Alignment, has received broad acclaim in the business press. Managers who wish to improve their strategic thinking and decision making - particularly in conditions of uncertainty and change. Click here for my bio.